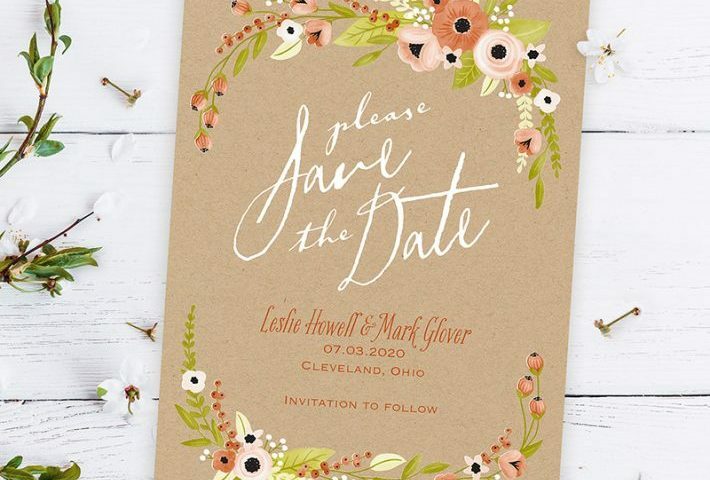 And I Quote Invitations > Your Event > How Could You Not Love Boho Swag?! 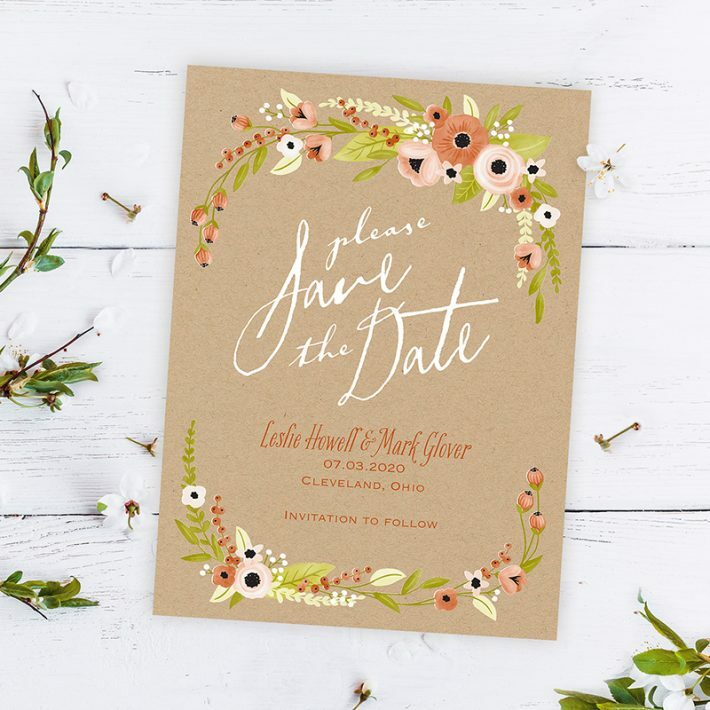 Show off your wedding style with this cute Boho Swag save the date. Guests will love the fresh look of the card and will enjoy knowing when the big day is. For your actual wedding day, fill colorful glass jars with assorted wild flowers. The bright colors and “just picked” look are so boho – we love it. Instead of a veil, consider wearing a flower crown or a vintage hair clip, which could also be your “something borrowed”. Do you love the thought of having a photo booth at your reception? Well you can do it in a budget friendly manner! Simply construct a large frame and decorate it with moss, leafs and luscious flowers. It fits your theme and is easy to make! For the end of the reception, plan to have a send off and have guests throw flower petal confetti. It adds to the boho feel and is more of a unique idea then using rice. Keep things simple and natural when planning your wedding day with a boho theme. Remember to add pops of color and to just have fun – this is an exciting time for you!